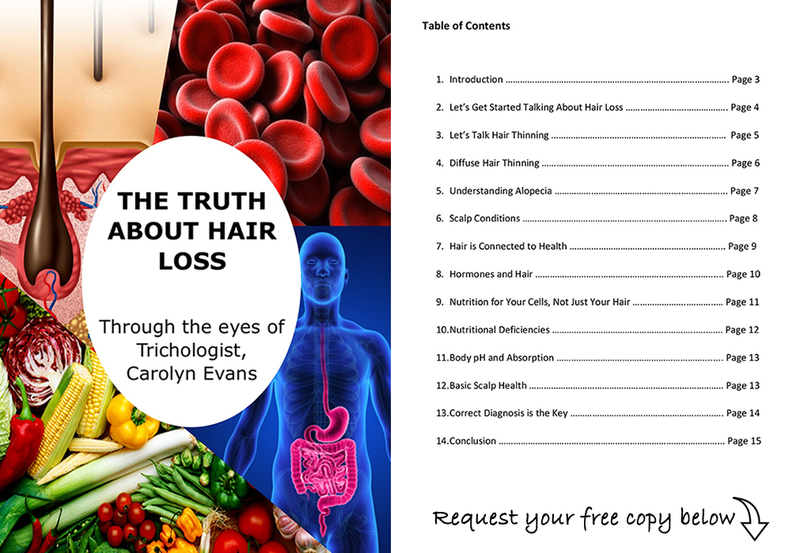 Hopefully you are beginning to put all the pieces together and understand about your individual cause of hair loss and the very real difference between hair loss, hair thinning and pattern hair thinning. Knowing your normal daily hair loss quota related to your healthy hair cycle is important as is being aware if this changes. Whatever it is for you, it is a significant sign to know and report to your Trichologist. For most individuals, the diffuse hair loss has ceased however the hair has not grown back to normal and has thinned. This is called diffuse hair thinning and is very different to pattern hair thinning. Understanding this can help to avoid associated hair anxiety that is commonly attached to normal daily hair loss. Knowing a little bit of science and the facts of the hair cycle phases, in particular the growing and falling phase, can help put your hair anxiety to rest and your mind at ease. Learning and practicing your own hair count can also stop the stress related to a normal daily hair fall. Knowing your wash day hair count opposed to alternate days hair count is also positive. This allows you to be in control and understand what is normal and what is not. It is important to understand many different and certain things can affect us throughout life and for some, the body’s reaction is diffuse hair loss. We need to identify what these thing may be for us individually so they can be avoided or addressed. In situations such as pregnancy, post partum alopecia hair loss cannot be avoided because it is a natural part of every pregnancy. However we can prepare and create a plan to slow the impact and make sure the hair grows back exactly as it should by being aware of health, pH, the hair cycle and the hair cell. The Hair Count helps you to see easily find out if your daily hair loss is normal or not. Here is what you do; on hair washing days, collecting any loose fallen hairs from pre-wash brushing, scalp cleansing, shampoo, conditioner, hair drying and hair styling. Separate the hairs individually and make different piles for hairs with a bulb (the white dot), hairs without a white dot, and hairs of different lengths indicating hair breakage. Now count only the hairs with the white dot as these are the only ones that indicate actual hair loss. Record how many hairs and how many days since the last wash. Plastic snap lock bags work well. Now you can easily see what 50 or 100 hairs look like without counting every time :o)) Also collect the hairs that fall each day on the days you don’t wash. You will see it is different to you hair wash days, and this is also normal as the manipulation of hair washing will collect more hairs, but is by no means the cause of hair loss. It’s a good idea to do this for a few weeks or whenever concerned about your hair so you can see if that hair count is consistent or fluctuating. When hair loss is triggered the cause was 3 months ago in the body and the hair loss will continue for 3 months. Sadly that is fact! You cannot simply stop hair loss tomorrow once it starts, but we can do things to slow it down and help form a recovery plan which includes teaching you how to avoid your hair loss triggers for the future. 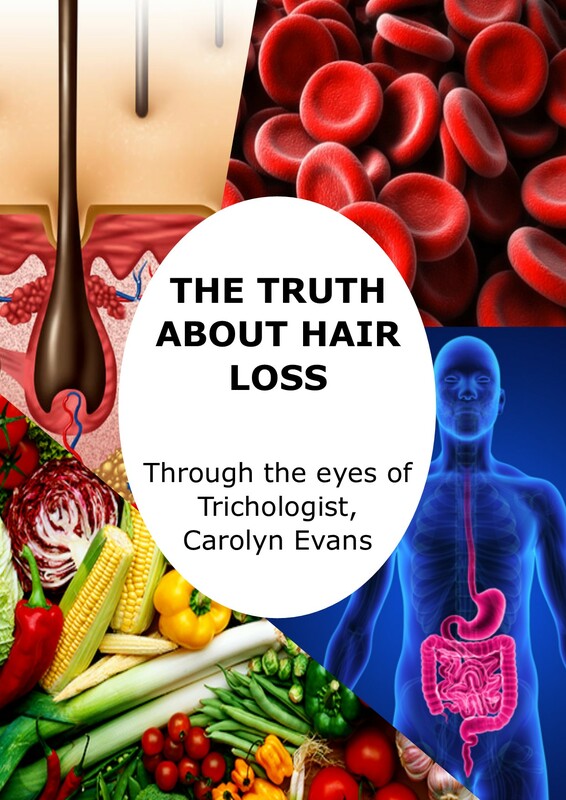 Contact Absolique Hair Health Clinic Trichologist Carolyn Evans-Frost for correct diagnosis or further information on The Hair Count. Hair loss is a sign something is wrong with the body, please don’t ignore the signs. Email info@absolique.com.au or call our wonderful reception team on 07 3229 3242. Find you’re individual Cause of Hair Loss with the Hair Count.